Being a client-centric firm, we are betrothed in offering a high-quality assortment of Nephelo Culture Flask. 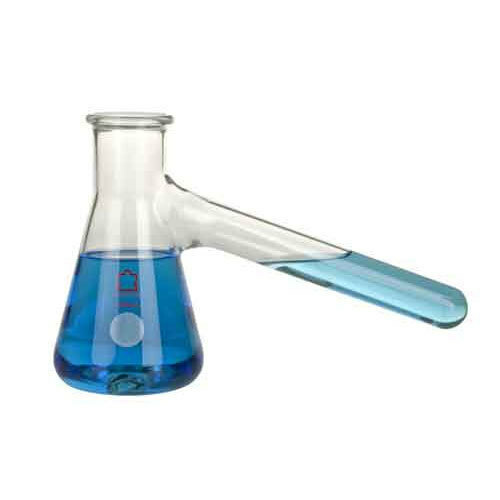 Established in the year 2003, we “Warsi Laboratory Glassware” are the reputed organization, engaged in Manufacturing, Exporting and Supplying the best quality range of Laboratory Glassware, Laboratory Flasks and Laboratory Plasticware. Located at Ambala (Haryana, India), we have the modern infrastructural base that comprises of well-equipped units such as production, procurement, quality testing, sales & marketing and warehousing & packaging. All units are operated under the supervision of experts and enable streamline production. Owing to our client-centric approach, ethical business policy, timely delivery and affordable price structure, we are constantly increasing client base across the nation. We export our products India, U.S.A., U.A.E., Middle East Countries & Worldwide.